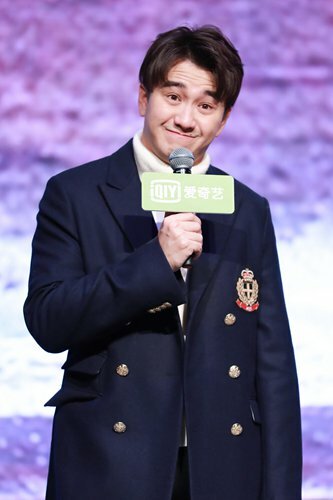 A Chinese TV actor, who also has a PhD from Beijing Film Academy and is a postdoctoral candidate at Peking University, found himself in hot water recently after allegations of plagiarism, which kicked off a new wave of discussions over academic misconduct in China. Sina Weibo user "PITDyazhounuedaiboshizuzhi" on Saturday accused Zhai Tianlin, 32, who most recently appeared in China's 2019 Spring Festival Gala on China Central Television, of plagiarism on Sina Weibo. The user uploaded a paper by Zhai, which was published in an academic journal in August 2018, to a plagiarism software platform. The similarity score for the 2,783-word article was 40.4 percent after it was put through the China National Knowledge Infrastructure (CNKI), a similar platform to Google Scholar, according to the Weibo post. Zhai has been mired in controversy since he asked in a live video in August 2018 what the CNKI was. "As someone with a PhD, how could he not know what the CNKI is? And how could he have never used it for referencing academic works?" wrote a shocked netizen. The video sparked questions over the originality of Zhai's academic works. Some netizens claimed Zhai had sought out essay-writing services, a practice regarded as academic misconduct. The posts stirred heated debate in Chinese cyberspace, with many netizens saying that it is unfair to industrious students who work hard to obtain a degree. They called for strict rules on academic misconduct. Another netizen commented that anyone with the title of scholar should devote themselves to research, but those who wear the veneer of a scholar are just "hateful." "According to the laws on higher education, there are principles about academic performance but no specific punishment for offenders. Students suspected of plagiarism are always punished according to the regulations of their own academic institution," said Zhi Zhenfeng, a legal expert at the Chinese Academy of Social Sciences in Beijing. Zhi noted that the Beijing Film Academy holds responsibility for investigating the allegation and should release its findings as soon as possible. Zhai's supervisor is also responsible for the failure in supervision and instruction if Zhai is confirmed to have violated academic integrity, he said. "The key to stamp out academic misconduct is to investigate and deal with cases immediately," Zhi said.